and sustainable development based on the rules of social responsibility in business practices as well as in cooperation with suppliers/subcontractors and/or business partners. Code of Business Conduct of ETP S.A. shall establish minimum standards of work and business activity, which should be followed by all suppliers/subcontractors and/or business partners of ETP S.A., at the same time being in compliance with all laws and regulations related to the business activity conducted by the Company, and providing guidance on how to achieve the best business practices. We expect that our potential suppliers/subcontractors and/or business partners will follow the standards of this Code of Business Conduct of ETP S.A. while conducting their business as well as in relationships with their sub-suppliers and/or subcontractors. 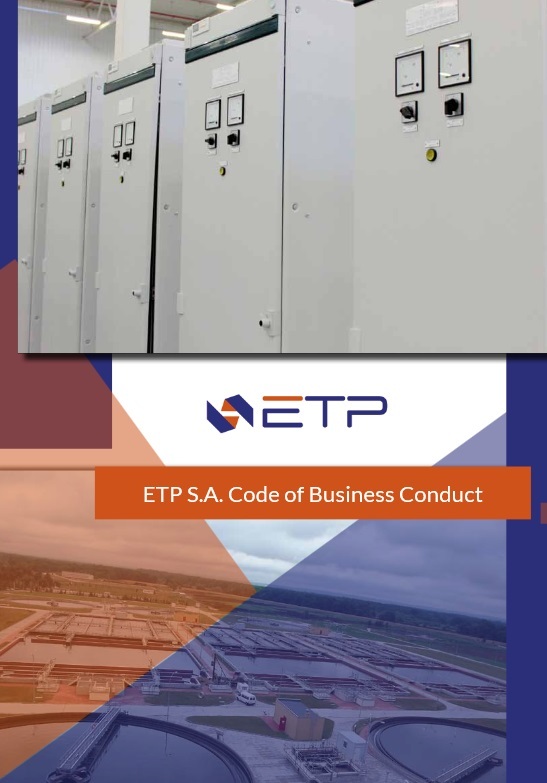 This Code of Business Conduct of ETP S.A. defines the basic rules and requirements providing the guidance for all our suppliers/subcontractors and business partners to base their business activity on.